AgReliant Genetics is dedicated to fostering a diverse and inclusive workplace. At every level, our people are an essential part in maintaining our mission and furthering our growth. Our core values are fundamental to our success — we pursue individuals who demonstrate commitment, excellence, integrity, safety and innovation in their work. 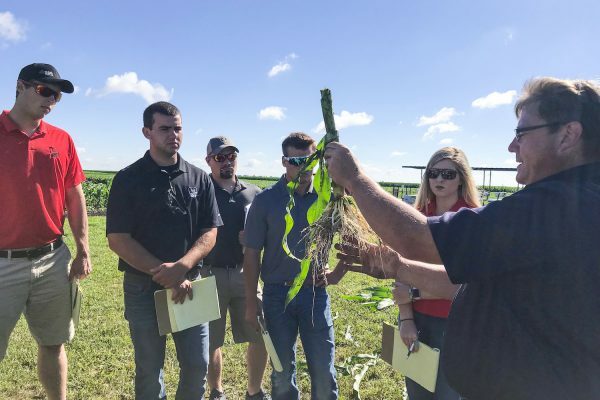 At AgReliant Genetics, we work to support a culture of learning and involvement, where relationships exist across all facets of the organization. We believe that the best way to improve our business is through strengthening our people, and we create opportunities for our employees to hone their craft. Here you will have the opportunity to be part of a culture where we value our employees’ passions and believe in giving people the space to navigate challenges, invent solutions and excel in a rewarding career. Excited to work with us but don’t see your position listed? Search current job openings and apply for positions here. Or, if you’re passionate about helping farmers grow but don’t see an opportunity you can submit your resume for general consideration. Have you ever considered starting your own seed business? Whether you see a seed business as your full-time job, a part-time job or in addition to your own farming operations, we have options that could work for you. If you’re interested in learning more about our seed dealership opportunities, including internships, contact us here. "AgReliant has been monumental in my education. They have sent me to workshops, webinars, conferences, anything to help me expand my knowledge. I have learned so much since I've been here, and I’m so grateful for that opportunity." "When I was looking for a job fresh out of college, AgReliant was the only company that was dedicated to making you a part of their family. Here, you are a face, not just a number. It is what drew me to AgReliant, and it's one of my favorite parts of the company today." "I have met so many fantastic role models during my career with AgReliant. These people have helped me to grow, learn, and develop my skills. I look forward to continuing the journey with AgReliant Genetics and LG Seeds!" "I like that AgReliant is a small, but growing company that values diversity. We have a long-term vision, and there is a lot of room for growth and to make an impact." "I love working with growers and seeing the passion they have for farming. Their passion is contagious, and it only makes me love my job and the AgriGold brand more."